The Apartamentos Niza in Puerto Rico is only 500 meters from the beach. 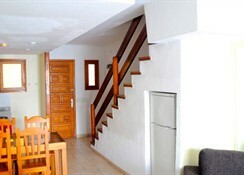 The apartments enjoy close proximity to several of Puerto Rico de Gran Canaria’s attractions. Featuring 26 beautiful double bungalows, the hotel boasts of an elegant outdoor pool – perfect for a relaxing swim. The plush tennis court offers some sports and recreation activity. Guests can also enjoy some adventurous water sports at about 500 meters from here. A 18-hole golf course at just 8km from here and is a much loved tourist attraction. The bustling city centre is just 400 meters from the property. Located in the heart of Puerto Rico, a small bustling town, the hotel is within a short distance of Masplomas sand dunes and the lovely beach of Playa de Amodores. All the attractions are within easy walking distance or a short bus ride away. In the evenings there is a young, easy going tourist crowd in most of the Brit-themed bars and clubs. 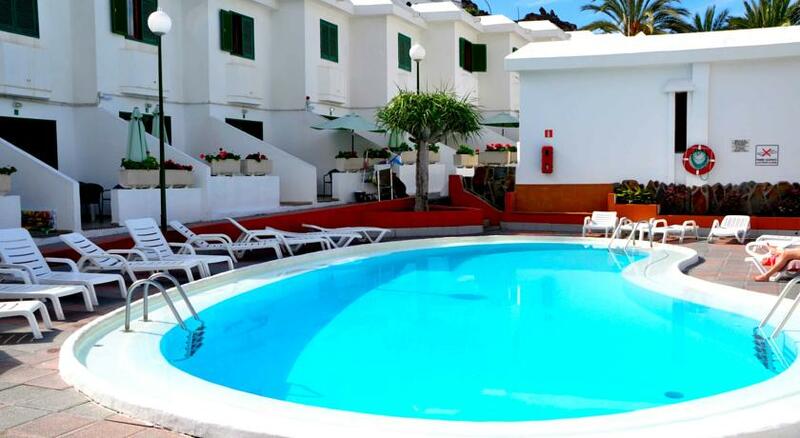 The Apartamentos Niza enjoy a beautiful location on Gran Canaria. Maspalomas and Amadores, two picturesque towns, are close to the hotel that should be on your visit list while on the island. Guests can obtain information about the nearby areas at the hotel’s tourist desk. The Gran Canaria Airport is about 50km from the property. 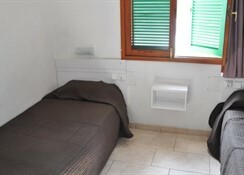 Apartamentos Niza has 26 double bungalows, each accommodating five individuals. The bungalows have two bedrooms, a living room, a bathroom and a fully furnished kitchen. 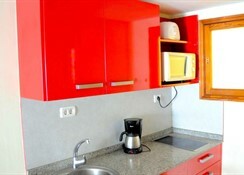 The kitchenette equipped with a refrigerator and a microwave, makes it ideal for self-catering. Guests can treat themselves to a cup of tea and coffee whenever they require with the tea and coffee supplies. The rooms feature a bright décor and clean accommodations. A comfortable bathroom with shower facilities adds to the luxury of your stay. The kitchenettes are equipped with basic cookware and utensils making it quite convenient for you to cook your own meals. A cosy little restaurant within Apartamentos Niza is the ideal place for your dining needs. Guests can also venture into the town and taste authentic cuisine in the restaurants nearby. A swanky bar within the property serves the choicest collection of alcoholic beverages. Soak in some sun while relaxing at the sun loungers by the outdoor pool at the Apartamentos Niza. Relax with a swim in the inviting pool. Take some lazy strolls in the well-manicured garden at the property. This hotel is an ideal place for anyone seeking privacy and comforts. An ideal destination for a couple seeking privacy and comforts within the city centre, this hotel is one of the most sought after apartment hotels in Canary Islands. Had a lovely holiday very close to the centre with plenty of shops and restaurants ,3/5 euros will get you a taxi to the top to the euro per centre were there is a more entertainment and is cheaper than the centre.Apartments are cleaned everyday by lovely staff ,there is no aircon tho ,we bought a large fan from the centre for 20 euro and was well needed we did go in August (very hot) would stay again ,you do get what you pay for .